Relocation is just a fact of life for members of the military and the family that supports them. They are used to having to move often, and usually on short notice. When you're moving around so much, you need a way to keep your things safe and in a place where you can find them. That’s why self storage works well for military personnel, whether used for short or long term. Of course, every move comes with a tight budget, so it’s important to avoid any unnecessary expenses. You can avoid this and any costly last-minute changes by planning ahead. Keeping yourself organized is the key, whether your orders are for next year or two weeks from now. Speaking of budget, it is a good idea to check with a military finance office—even before you begin to pack—to find out what financial reimbursement is available when you move or store items. For example, there may be programs that will reimburse you if you do your own packing and moving. #1: Figure out what you need. To determine how much space you need to rent, consider what items you are taking along and decide what stays. Will you store just a couple items or all of your furniture? Will you need to store your vehicle? Use the storage calculator on this website to help figure out what size unit you will need. Now that you know how much and what kind of storage you need, you can more easily develop a budget. #2: Take advantage of cost-saving promotions. San Clemente Self Storage supports the U.S. military. 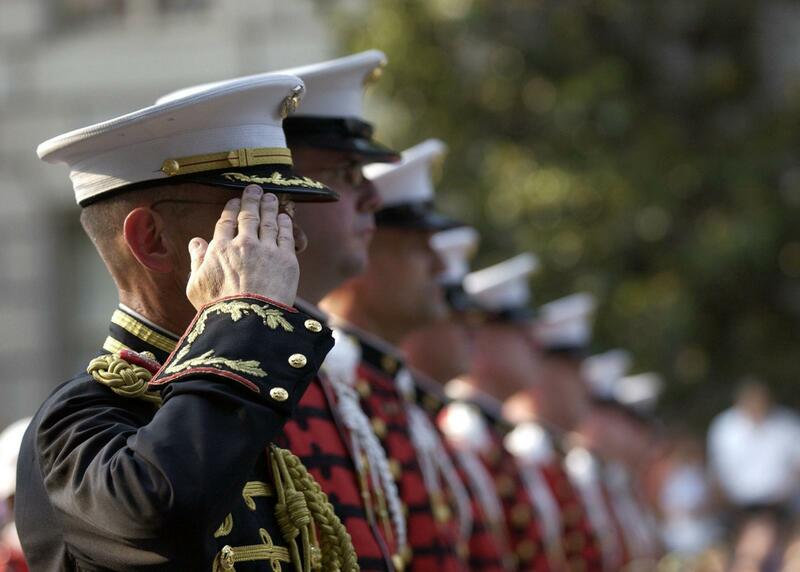 We offer discounts for those actively serving in the armed forces and their family members. We also have a generous pre-payment discount that will save you money and worry while you are deployed. #3: Check out the other services we offer. San Clemente Self Storage wants to make things convenient for you, so we offer services to make your life easier. For instance, you can pay your rent online or through automatic payment. This can be really helpful if you are assigned overseas for an extended amount of time or are someplace where traditional payment methods are not convenient. To make your move go smoothly, we also sell packing and moving supplies (boxes, furniture covers, locks, etc.). We even provide a free move-in rental truck—complete with driver and a full tank of gas without any extra cost! Call our office at 949-366-1133 for details. When it comes to relocating belongings, you can hire someone or complete all the work yourself. Doing it yourself means you will be in charge of all facets of your move, and an added benefit would be the likelihood of considerable cost savings. However, the work will probably be harder, most likely with fewer hands to help you, resulting in more sore muscles and only yourself to blame if anything goes wrong. Alternatively, professional movers are usually highly trained and experts in boxing up, carrying, and hauling your belongings. They can move you and your things more quickly than you probably could yourself. Good movers are also experts in keeping your things protected because they are on the hook for the cost if any damage occurs. Still, it’s not easy to find and select the right moving company. You will find no shortage of horror stories about disreputable moving companies. It’s important to determine who is good and who is horrible as soon as possible. The key to finding a good mover is doing your homework. Consider the things you really want the movers to do. Make a list of things that are needed or you are expecting to happen when you move. The list will help you stay on track when asking questions of prospective movers. It will also give you clear expectations and help you get more accurate estimates. How soon must you relocate? Remember that off-peak times are early and middle of the month, and weekdays, so choose these times to avoid higher prices. If you can move on a slower business day, you might ask if the mover offers a discount for moving during off-peak hours. Where is your move originating? Where are you moving to? Your needs (and what a mover will quote you) will vary depending on whether you are moving nearby, cross-country, or internationally. What amount of things do you need to move? To track all the items you need to move, make a checklist of each part of your house and think about what is in each part. List the large pieces—furniture, appliances—to begin, then determine what it would take to move everything else out of the room. Don’t forget to include outdoor furniture and anything in the garage. Can you pack small items yourself or will you need professional packing help? Are you transporting any items that are delicate or expensive (or hold sentimental worth)? Is insurance needed? How much? Estimate how much it will cost to replace all items listed. You’re finally ready to talk to prospective movers, but whom should you call? Word-of-mouth is traditionally the best way to find a good mover. Ask others who have recently moved who they used and what their customer experience was like. You might also ask a realtor. They probably work with many clients who relocate and are likely to know of a few dependable companies. They could maybe also tell you who to avoid! You can also use the internet to look for movers and see how they stack up to each other. Beware, though, that some websites will sell your personal information (such as email, etc,) to other moving companies. If you do not want your phone to ring off the hook or your inbox to fill up quickly, you may not want to go this route. You can also find information on consumer ratings sites like Yelp. Is the equipment you use your own? Are the people that you use your employees or independent contractors? Do you have the appropriate licenses and insurance for this state/municipality, and for this business? Which professional associations do you belong to? May I talk to any referrals? Will you come to my home and determine estimated cost? Is there a charge for you to do this? Depending on the answers you get, you should be able to break down the number of movers you are looking for to just one or two. Before deciding, however, check local and federal watchdog groups (like the Better Business Bureau) to find out if there is a history of complaints or problems. Arrange quotes from several potential movers. Getting quotes will not only give you a better idea of how much it will cost you to move, but it will help you avoid the con artists who just want to take your money. Be sure you show the movers all of what you need moved. In order to have an accurate estimate you need to be thorough and include every last detail. Also, tell the movers of potential issues at the place you are leaving or the one you are moving to—such as narrow hallways, steep staircases, etc. that will make things more difficult (and possibly add to the price). Once you have some quotes, you might compare them to determine who to choose. Try not to decide just on cost, though. Sometimes it’s better to go with the more expensive company with the better reputation. If the price is right, but your gut is telling you something’s not right about this mover, trust your instincts. Once you’ve chosen a mover, they will give you a contract to sign detailing all the particulars. It is very important that you read through any contract and ask questions before signing. Make sure any changes to the contract have the mover’s initials and dates next to them in pen. Call your mover a little less than a week before the big day to confirm your arrangements. You or someone you trust should be on the scene whenever the moving van is weighed or inventoried. Write down all that was done and keep all papers and files somewhere safe where you can’t misplace them while moving. If you follow these simple ideas, you should have a good move. If for some reason, though, you feel you have been cheated, scammed, or had something stolen by your moving company, let someone know right away and don’t be afraid to report any other infractions as you discover them. San Clemente Self Storage has a long history of helping military members with their storage needs. Stop by or call us at 949-366-1133 and we will be happy to tell you about our military storage discount. Our flag flies high above our front door. We look forward to meeting you. Thank you for your service! Whether you are in the military or not, self storage may be the perfect solution to your storage needs. If you are a college student, please check out our Storage Tip article entitled "Student Storage" for some useful advice. We would be happy to talk to you about your storage needs. Please call San Clemente Self Storage at 949-366-1133.